From Goodreads: It’s 1917 and America is on the brink of World War I. After Hensley Dench’s father is forced to resign from the New York Times for his anti-war writings, she finds herself expelled from the life she loves and the future she thought she would have. Instead, Hensley is transplanted to New Mexico, where her father has taken a job overseeing a gold mine. Driven by loneliness, Hensley hijacks her father’s correspondence with Charles Reid, a young American medic with whom her father plays chess via post. Hensley secretly begins her own exchange with Charles, but looming tragedy threatens them both, and—when everything turns against them—will their words be enough to beat the odds? 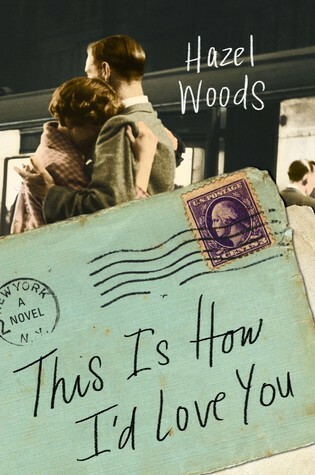 Waiting on Wednesday: This Is How I'd Love You was originally published by Catherine for bookclublibrarian.com. This post cannot be published without attribution.